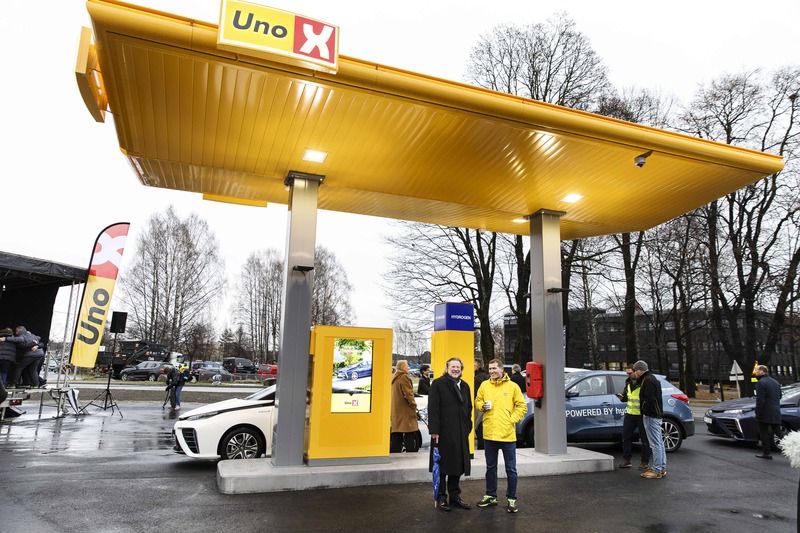 This is the first high volume set-up for serving local renewable green hydrogen to the mass market in the transport sector. At this site we take local solar power and excess energy from the surrounding office buildings to feed an electrolyzer. We split water into H2 and O2, compress and cool the H2 and fuel the cars coming in with H2. The only emission is……. Water! 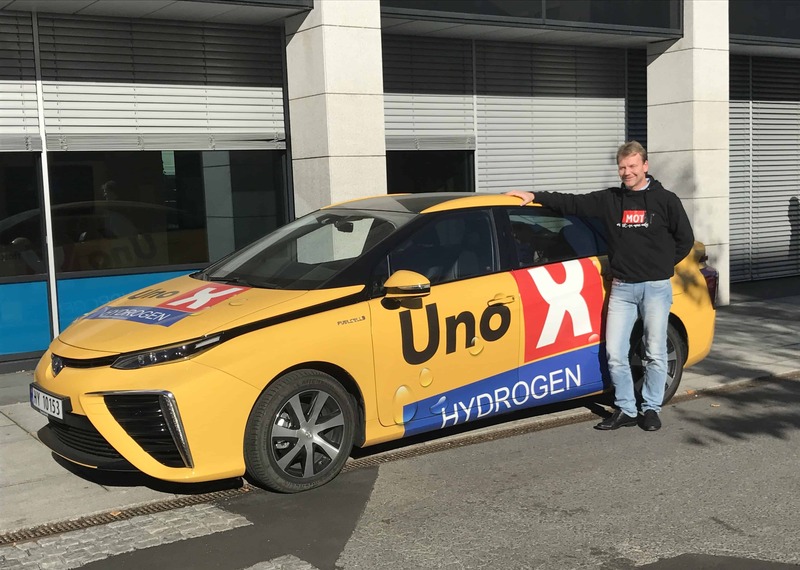 Uno-X Kjørbo is an on-site hydrogen production facility where H2 is made from local energy sources. The whole renewable cycle for the vehicles is made locally. The retail site is publicly available and the new payment application is developed for everyone to come in and use.